My post contains affiliate links! Thank you for the support! I’m convinced that the best stuff comes from 1) the thrift store, and 2) the side of the road. That’s the case with this here bookcase. 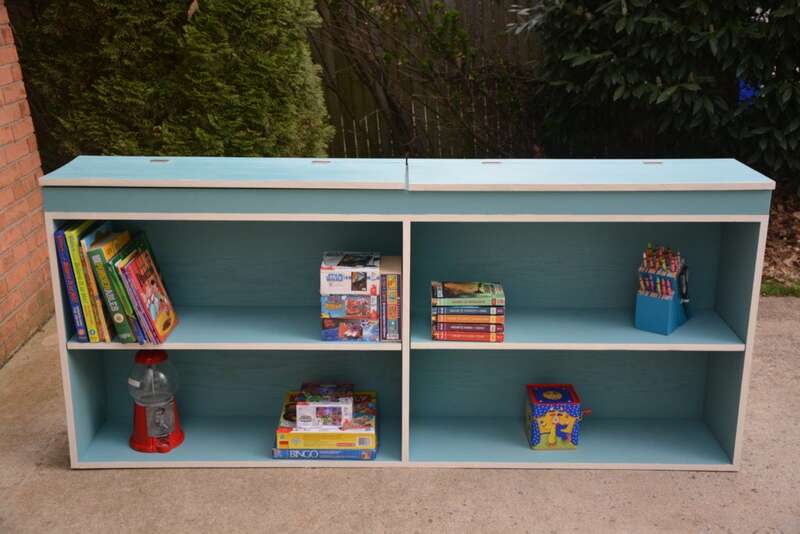 In fact, there were two of them I picked up from the side of the road for $35 each (here’s how I transformed the other bookcase). They were massively solid, heavy, and used to sit in a classroom somewhere. Then they sat in my garage forever. But the second one, poor thing sat in our abandoned 4th bedroom for even longer. 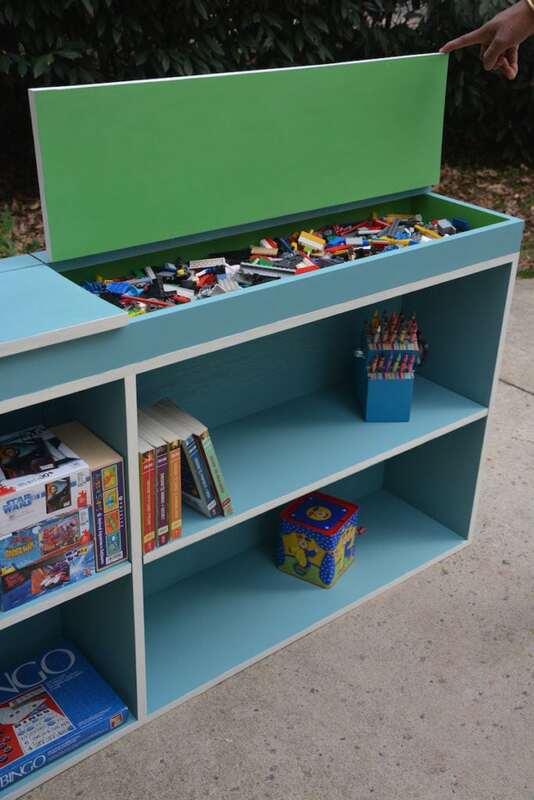 AFTER: Built-in storage on top! I was stumped on what to do for this project. Other than paint and gluing paper to the back, what else could I do?? 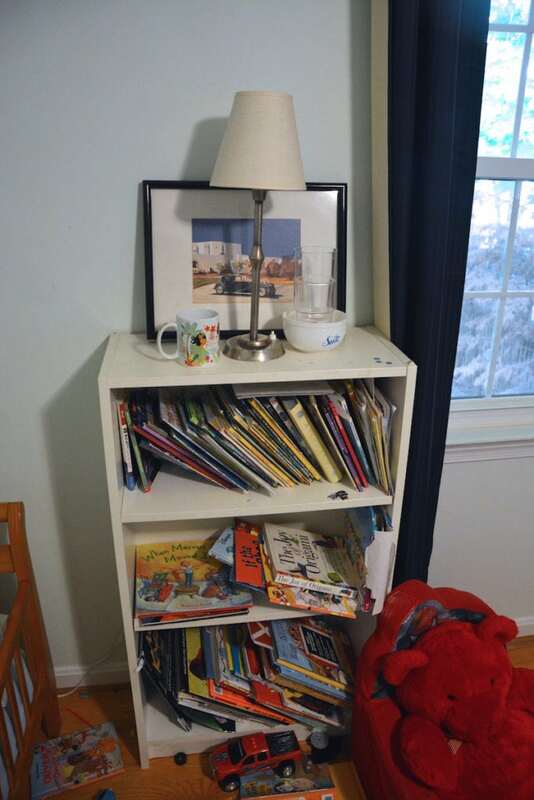 This is what their current old Ikea bookcase looked like. Dirty dishes and all, heeeyyy :). Very uninspiring, and most of the time, full of books and not enough room for them and their other things. They really needed better storage and organization. My three boys all share a room (their choice, might I add), so the 4th bedroom has always been bare and held random furniture we hadn’t done anything with yet. I decided that in the next few months, I’ll get started on a spare bedroom/play room for them. 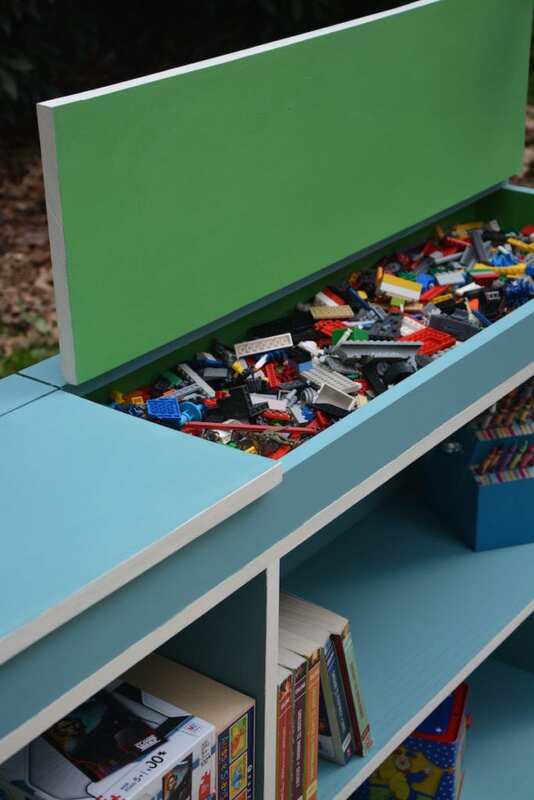 And this bookcase would be the perfect piece to get started with! 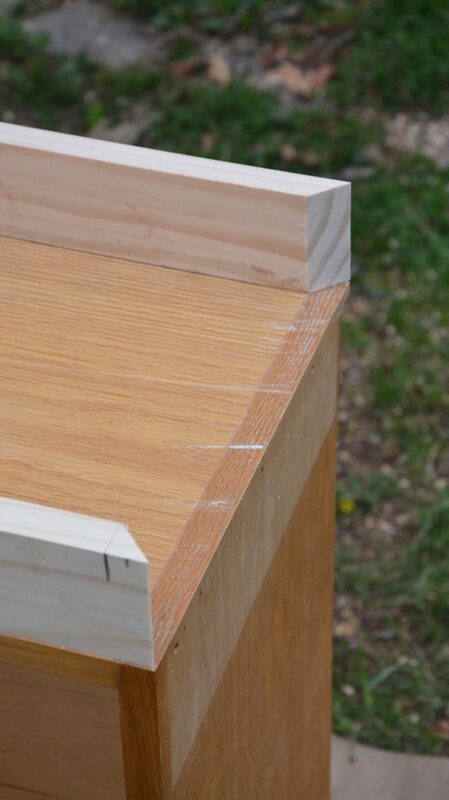 *Sliding compound miter saw or a circular saw (<–better yet–ask the hardware store to make your cuts for you!!!). Step 1: Measure the top of your bookcase. Step 2: Measure and cut your wood. 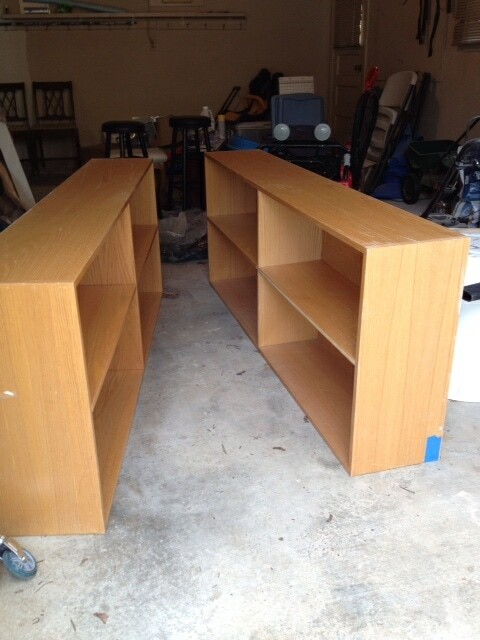 Cut two longer pieces and two shorter pieces to all fit together with 45 degree angles on top of your bookcase. Step 3: Glue and nail side pieces. 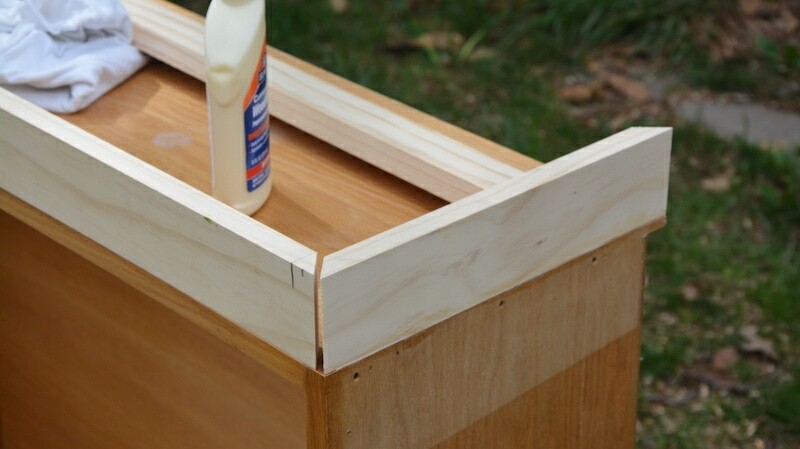 Glue the pieces of wood down, followed by your nail gun to secure the pieces. With the side and end panels on, it will look like this. Step 4: Cut and add the top pieces and lids. I decided I would put a piece in the middle and make two compartments, so I added this middle piece. The other panels sitting on top there, total accident. As I mentioned, since my bookcase was 12″ wide, I thought a 12′ x 1′ board would suffice. Ummm…..the board wasn’t 12″ wide. More like 11.5″ wide. 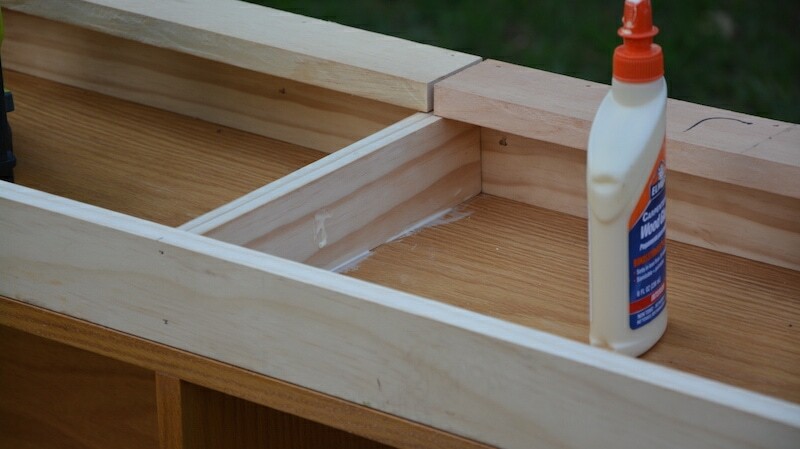 Therefore, there was no way I could put a lid on it without adding another piece of wood to the back. With the lids cut and in place, it looks like this, unpainted. 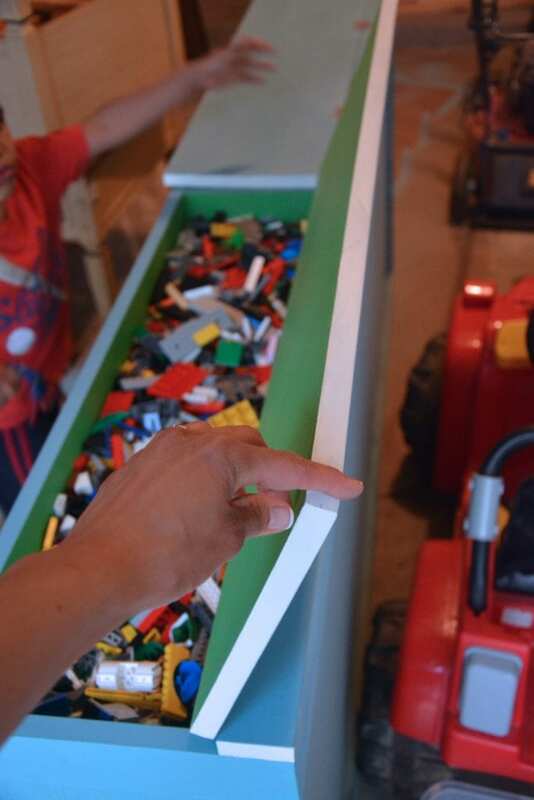 I made sure to leave about 5/8″ overhang so the kids are able to grasp the lid to lift it. I hate painting large pieces of furniture like this. 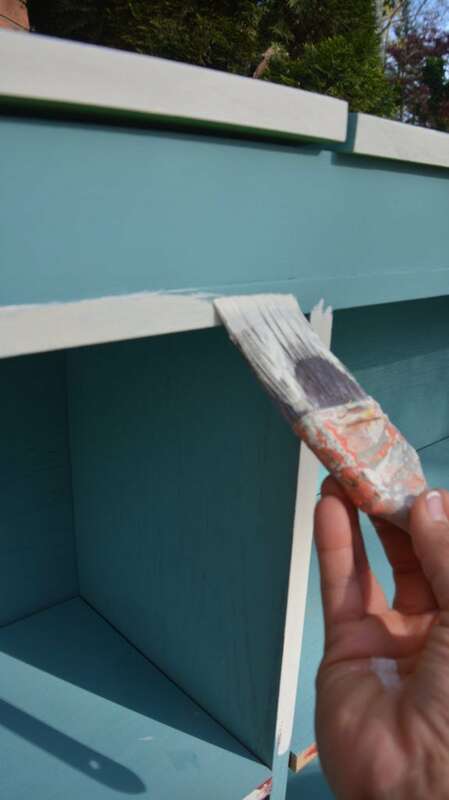 I used my HomeRight Fine Finish Max Pro paint sprayer to help me get through it quickly. You’ll need two coats. (Check out the video I did on how to use chalk paint in a paint sprayer for detailed instructions on how to use it). 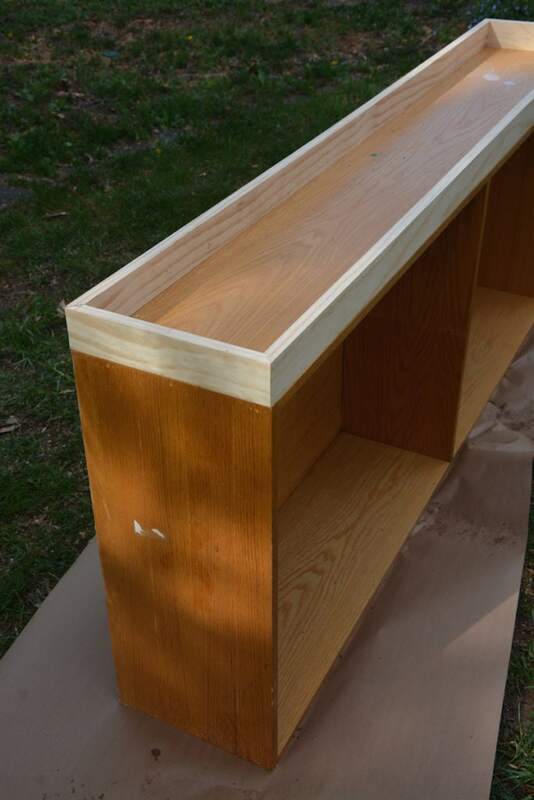 Step 6: Paint the inside built-in bookcase storage. I hand painted the built-in part so that I didn’t mess up the outside finish with minor overspray. 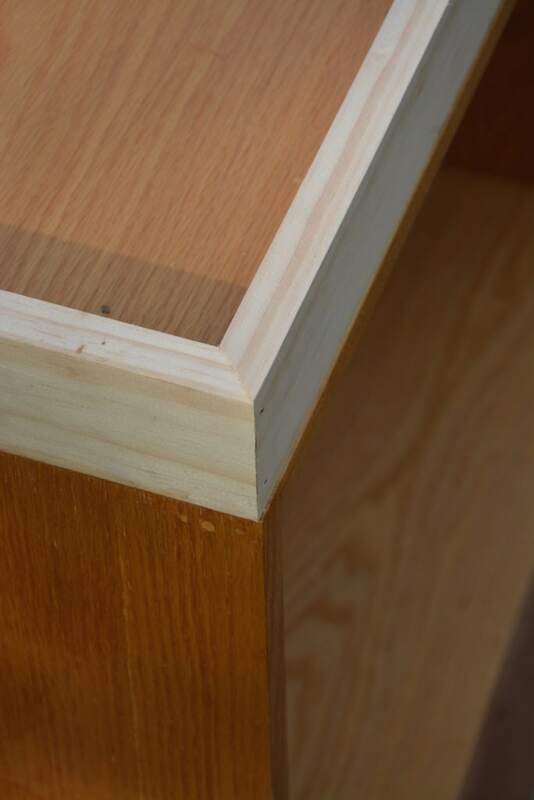 Step 7: Add decorative hinges. I love these ones! 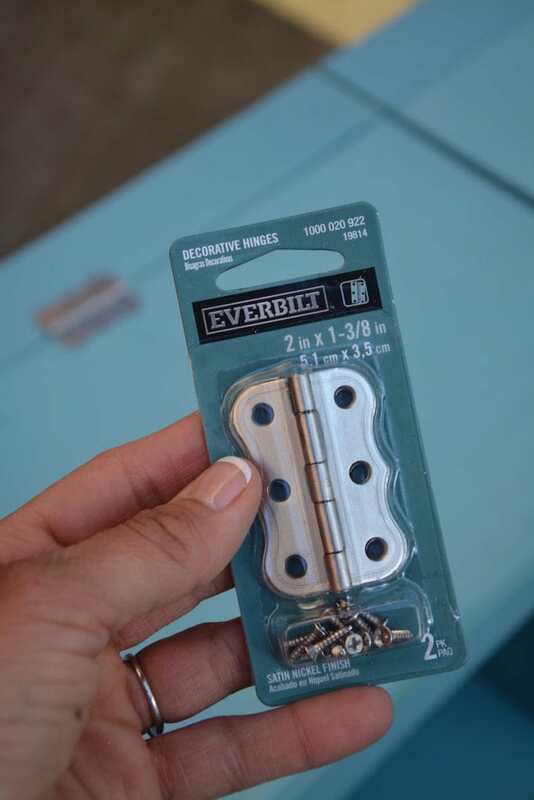 I didn’t have a big selection, though, from the hardware store, but these will do! :). I really like these decorative hinges, though! 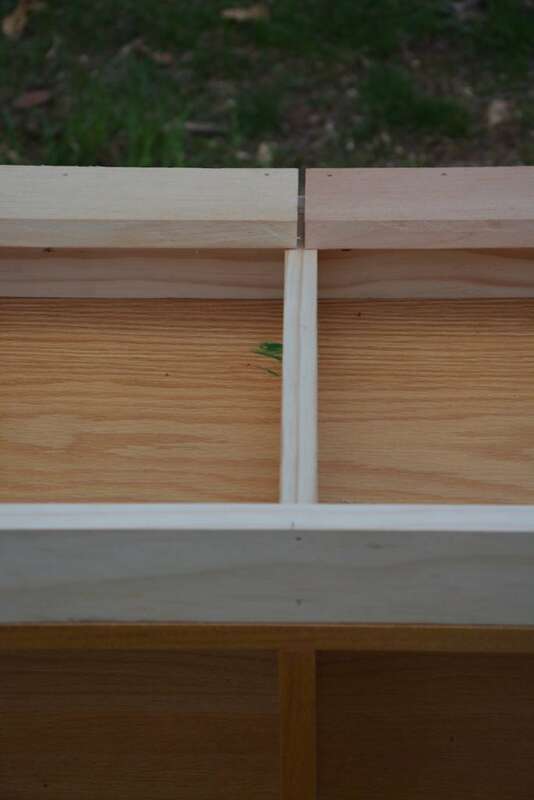 Use the hinges to join the lid to the back panel pieces, as seen below and in the video. Step 8: Add finishing details. I added these white edges at the last minute. I think it makes it look nicer, don’t you think? I also lightly sanded and waxed the top. I’ll admit–I’m lazy and having waxed the body yet ;). 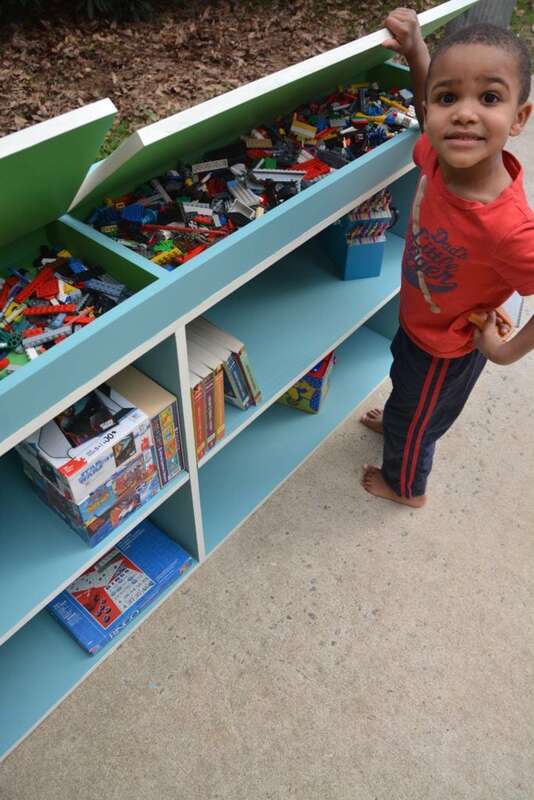 Step 9: Store your favorite stuff in your new built-ins! 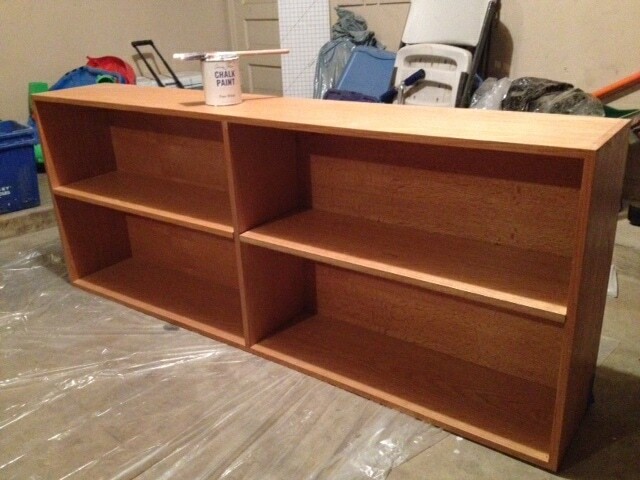 Step 10: Add the shelves! So what do you think?!?! 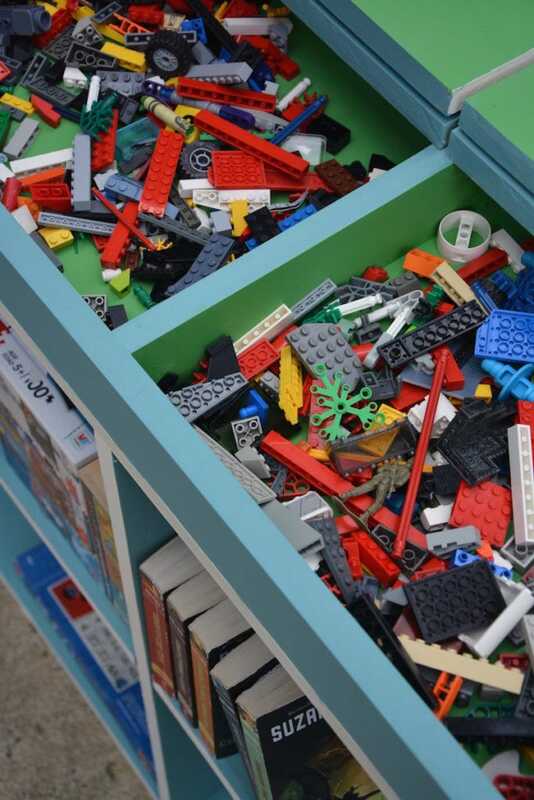 Have you ever hacked a bookcase? Leave a comment below and let me know your thoughts! 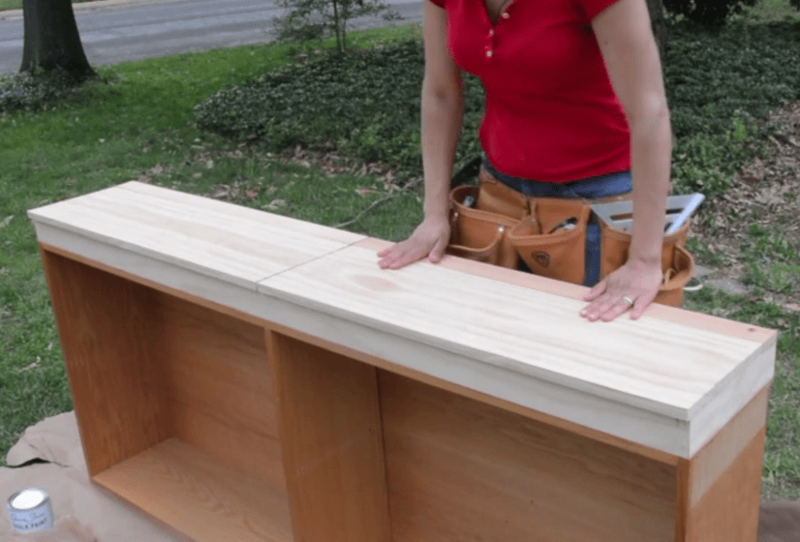 Don’t forget to watch the bookcase video tutorial from start to finish! 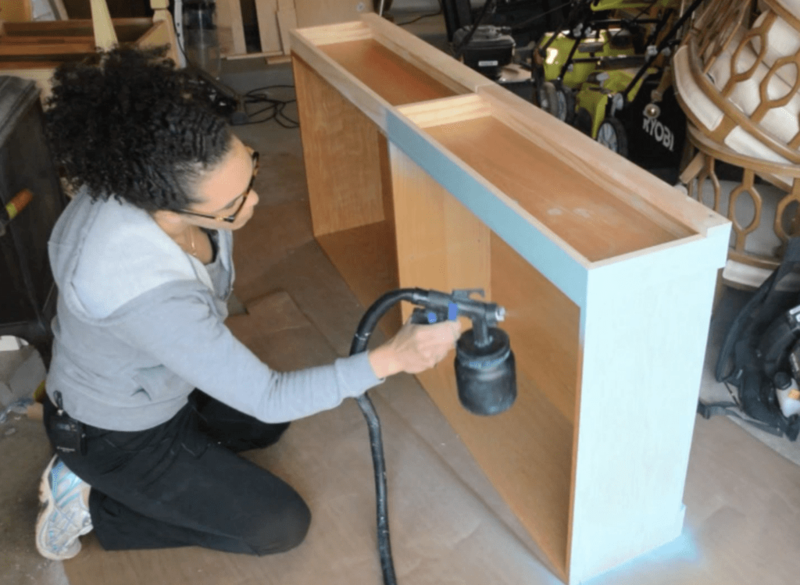 « Save Your Jammies From Being Ruined By DIY – Vintage Sewing Cabinet Makeover! An indoor garden would be such a great idea for your kitchen! That way you can bring some color and life into the space. Plus, you can get cute pots to decorate with, and you can customize the garden to your liking.